Thankfully, I took my time reading through this book. Bought it four years ago on recommendation, but it’s been waiting its turn. As often happens, the timing was perfect. So thanks for the recommendation, Nancy. This book is palatable for readers of all levels, by the way. The 31 chapters, that Wilson labels days, are no longer than 8 pages. So one could move leisurely through the book if desired. Each chapter is very devotional in nature, ending with a few questions for personal meditation or for group discussion. 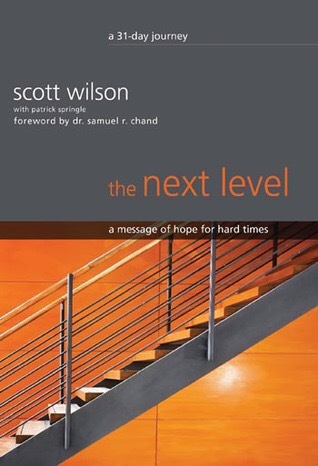 If you are a small group leader, you should definitely consider using this book for your group. God has good and specific purposes for the tests he gives us. In many ways, knowing who we are and whose we are is at the heart of every other test in our lives. God never wastes our pain. He uses it to draw us deeper into a relationship with him and to touch people’s lives. Insisting God answer our questions creates a roadblock for our faith. There’s a difference between saying “yes” to God and saying “yes” to people. We get the most joy in life when we become holders of the spotlight instead of insisting on being in the spotlight. Whether you read it now or it waits its turn, this book should be in your library.